Hey guys, I have been awfully sick since Monday night. I woke up with a sore throat and it just got worse from there. This week besides feeling all ouchy I made a bunch of comfort food. Recipes need tweaking when I can actually taste again but feel free to use your imagination for inspiration! 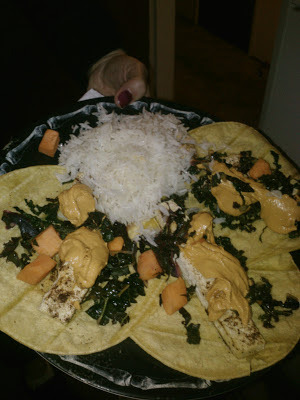 You're A Jerk Tacos: Tofu dry rubbed with a hand blended jerk seasoning, baked, topped with: spicy sauteed kale, carrot and sweet potatoes a thick queso like adaption of Isa's Red Hot Tahini. 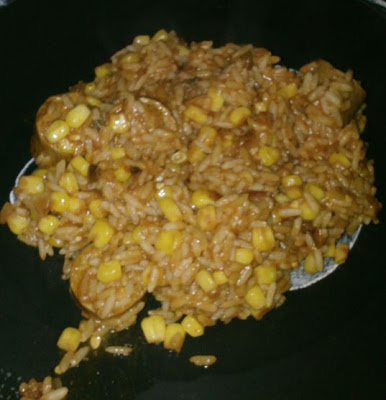 I served it with lime rice on the side! 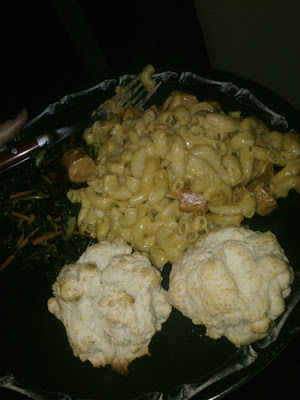 Mac & Cheeze Veggie Dog Casserole: I made a tangy cheeze sauce with Daiya, mustard, nutritional yeast and spices added the macaroni and a few cut up veggie dogs to the mix. This went into a parchement lined baking pan, topped with hot sauce and bread crumbs, baked and served with butter'milk' drop biscuits and sassy spiced kale and carrot saute! Back to bed! Seriously....Sleep is my friend lately!